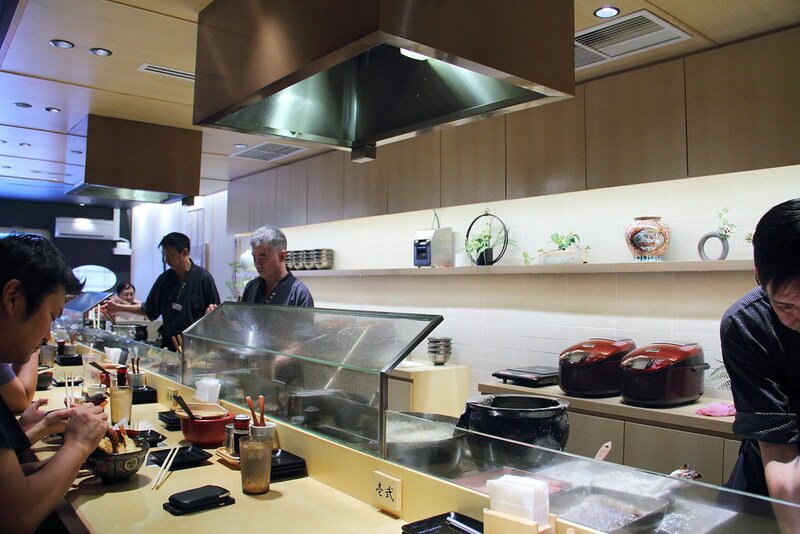 Tendon Ginza Itsuki at Orchid Hotel, Tanjong Pagar is Ramen Keisuke's eighth and latest concept outlet in Singapore. 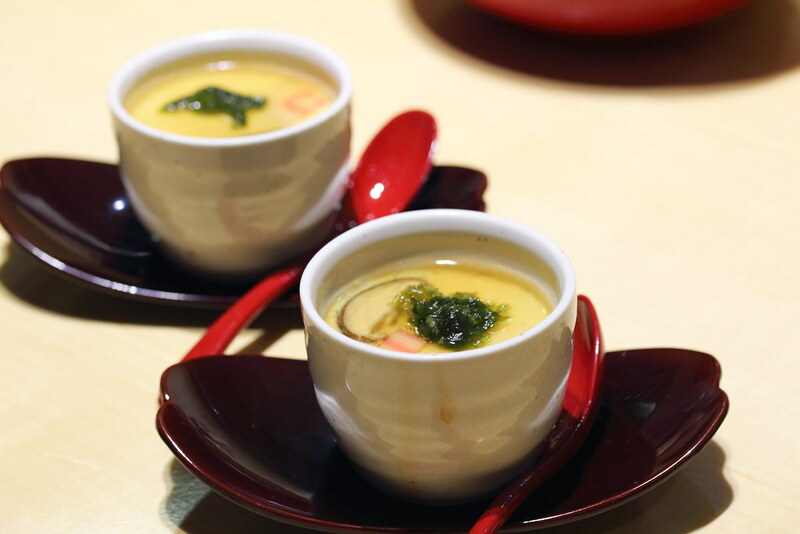 The newest concept offers delightful one bowl soul food meals to the diners, served in a special porcelain bowls by Arita (a 400 year old porcelain brand from Japan). The menu at Tendon Ginza Itsuki is very simple. There are only 2 items on the menu. 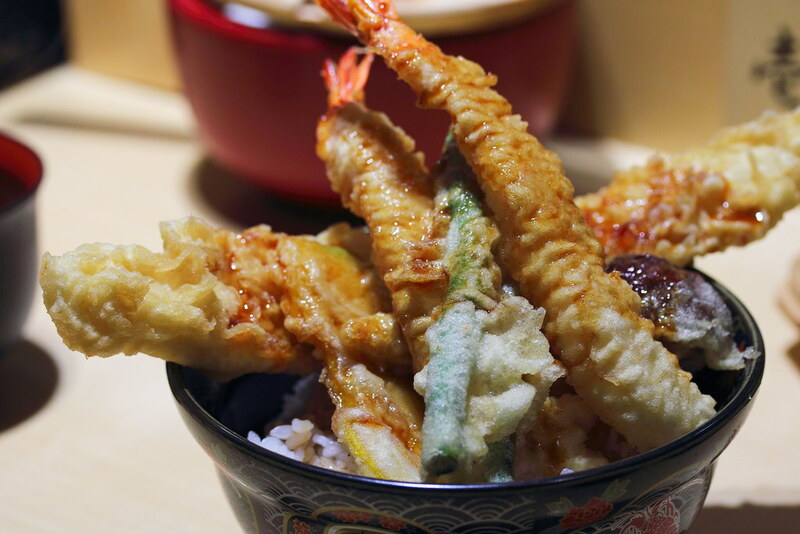 Special Tendon - Tempura on Rice ($13.90) and Vegetable Tendon - Vegetable Tempura on Rice ($12.90). 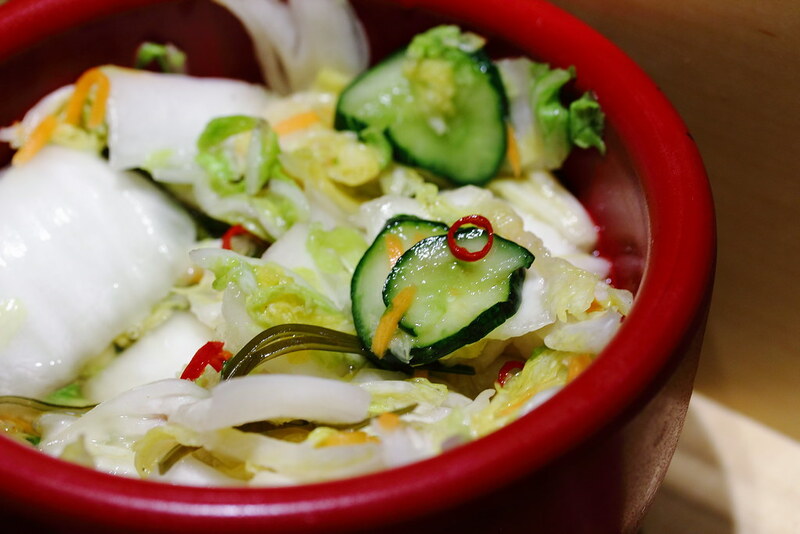 Complimentary pickled cabbage are served at the table. Diners can help themselves to them. Tempura is all fried stuff, so these pickles are very thoughtful to help cut through the greasiness. Besides the complimentary pickled cabbage, the Tendon also comes with Steamed Egg and Miso Soup. It basically is like having a set meal. 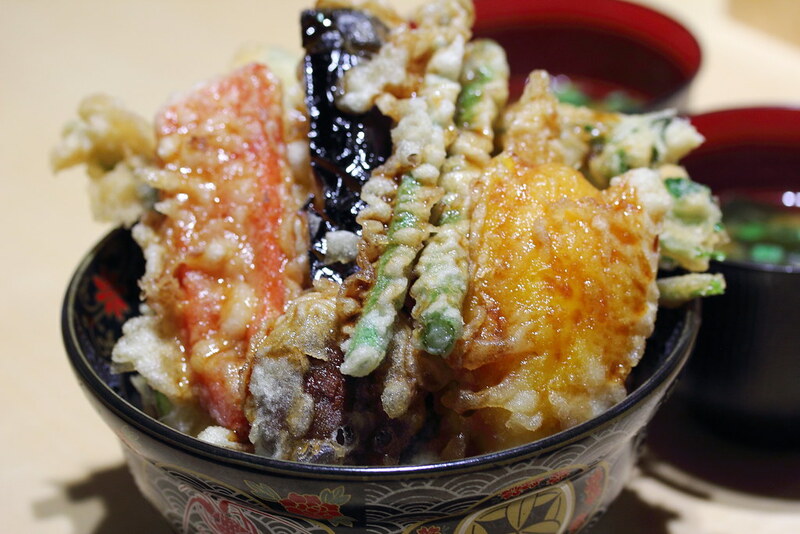 The Vegetable Tendon comes with tempura pumpkin, shiitake mushroom, lotus root, eggplant and 4 pieces of other vegetables. This is a delightful rice bowl with abundance of vegetables to fill up the stomach. 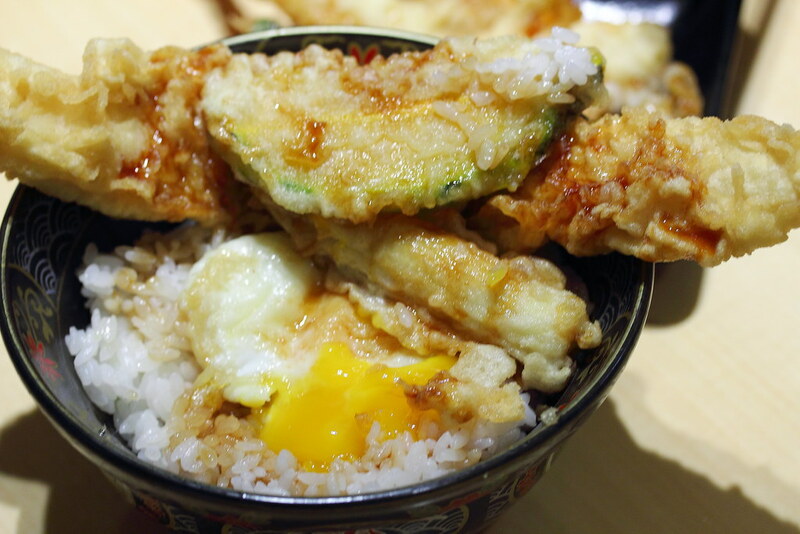 The other highlight is the tendon sauce that is drizzled over the rice bowl, which lifted the flavour of the tempura and rice. 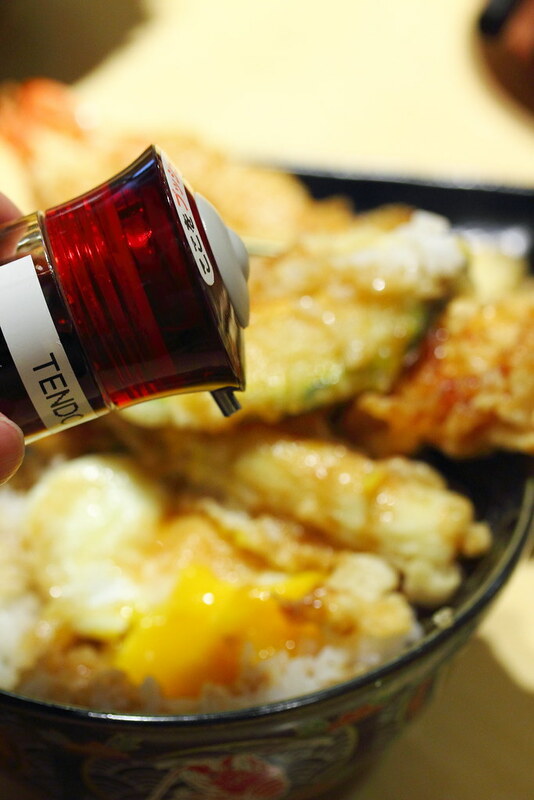 The tendon sauce is also available at table side if you want to add more of it. My recommendation would to go for the Special Tendon that comes with 2 pieces of prawn, 2 pieces of chicken and 4 pieces of vegetables. There is even a half boiled egg hidden underneath the pile of tempura. I find that this is a more satisfying rice bowl with the prawn, chicken, egg and vegetables. Drizzled with the tendon sauce, this accentuated the flavour a notch. 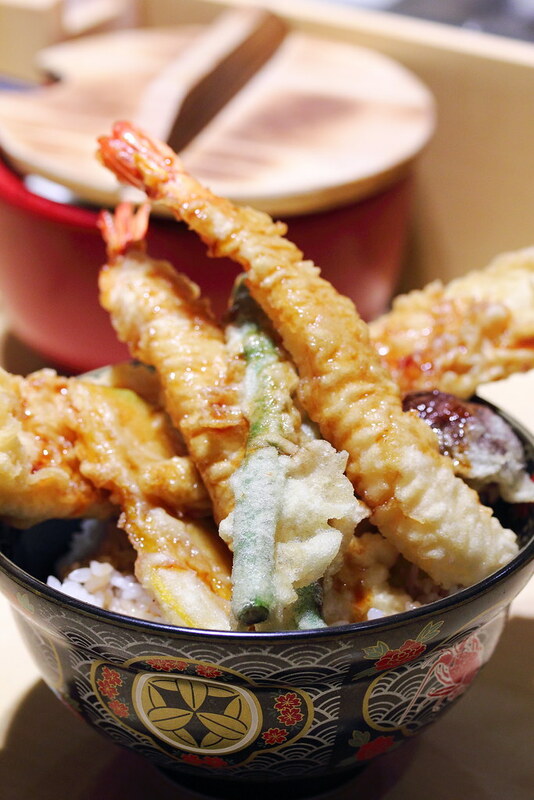 I think Tendon Ginza Itsuki is really value for money with its hearty and comforting bowl of tempura on rice. It was also quite entertaining sitting at the bar counter watching the chefs preparing each tendon upon order. However be warn that you will leave the place smelling like tempura. Do spread yourself with some Febreze fabric refresher provided at the cashier counter before leaving the restaurant.